Introducing the latest member to the Rocket Rooster Colour Packs, The Raw Presets Pack! 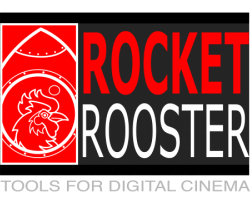 Rocket Rooster Raw Presets is a set of looks created to get your Raw footage looking great in just a few minutes. Pick from 30 different cinema looks inspired by hollywood film stock. Emulate some of your favourite traditional film looks in Adobe Camera Raw, keep all the benefits of shooting Raw without needing to spend hours in post. The pack is also a great tool for photographers and adds depth and a strong foundation to build your looks from. All shots have been graded in Adobe Camera Raw ONLY. No other tools were used. The Raw Presets pack contains 30 presets for Adobe Camera raw that aim to emulate classic film stock and other looks to quickly get your grades started from right in CAMERA RAW. The looks can be used to get a final look or as a starting point for your secondary grades.